This 125-watt heat lamp flood light bulb reduces visible light emission and glare when used indoors. Robust and sturdy hard glass construction make these lamps a safe heat source. General radiant heating is ideal for bathrooms, hot food displays, space heating, and agricultural needs. Features a Medium Screw base. 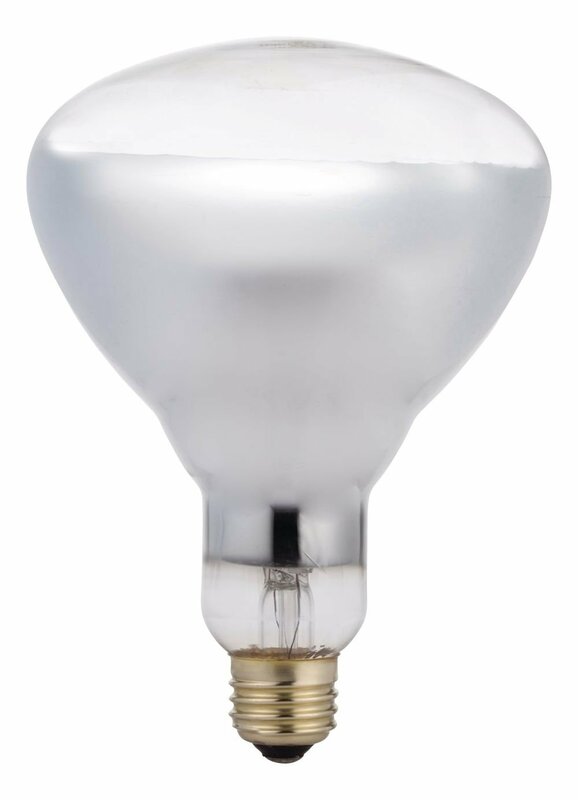 This bulb’s compact form ensures a variety of uses around the home. Philips reuses as much glass and packaging material as possible, reducing environmental impact. This long-lasting bulb shines for up to 5,000 hours.